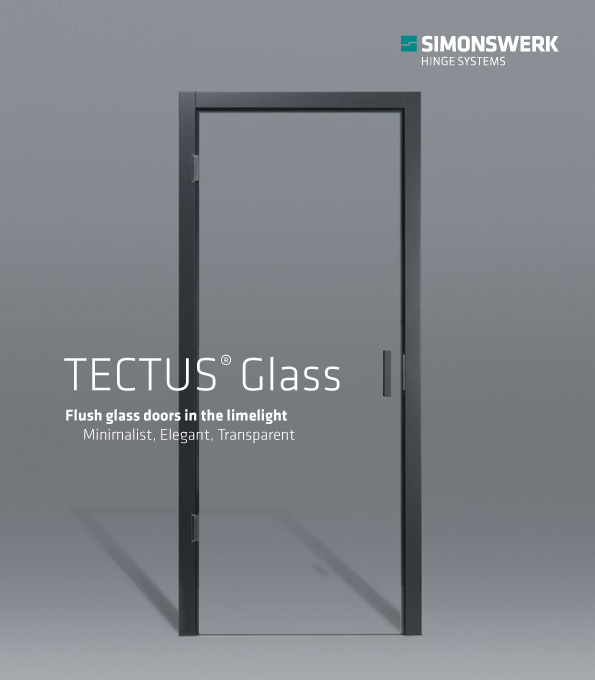 SIMONSWERK TECTUS - a complete solution and extensive range, multi award winning iconic design and precise engineered functionality. 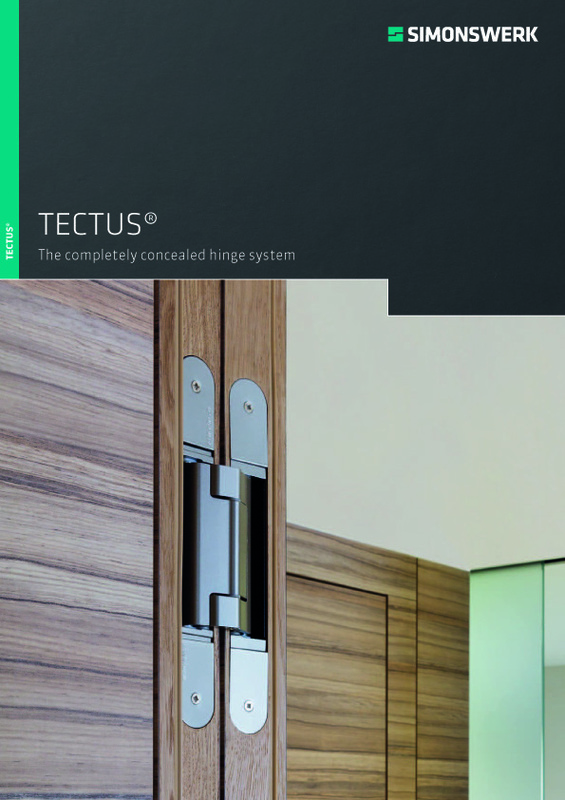 Tectus hinges allow for three dimensional adjustments to obtain perfect door alignment, contain maintenance free bearings and present a flush fitting clean line design. 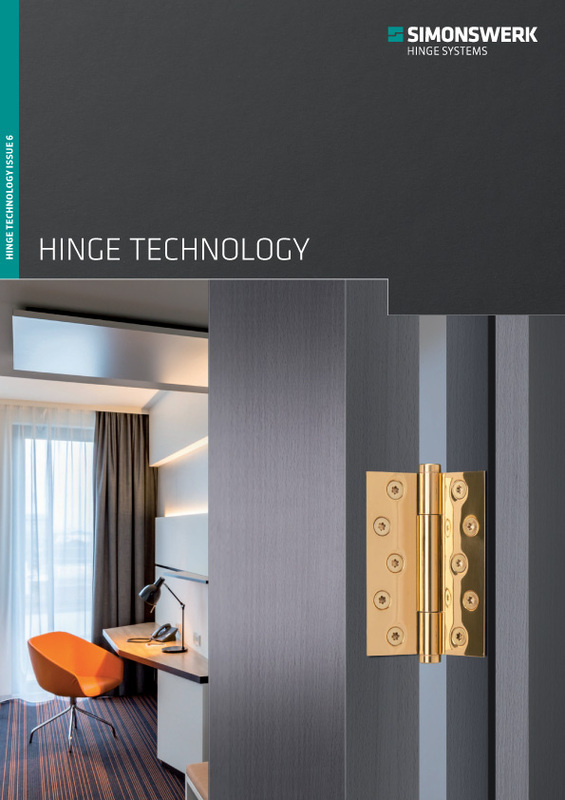 Created for safety, with minimum pivot gaps to prevent finger injury, these hinges are available in an unrivalled range of high quality surface finishes and size options carrying up to 300kg door weights. 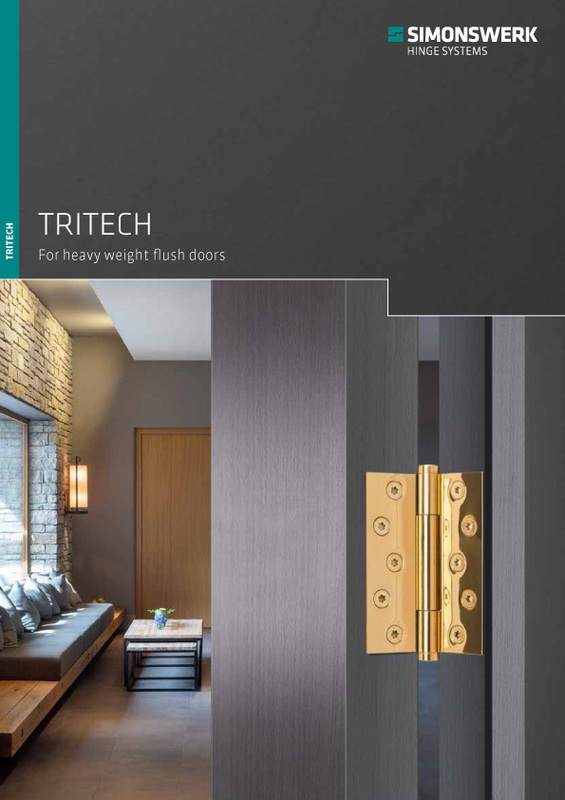 I agree to let SIMONSWERK UK Ltd contact me from time to time in regards to the TECTUS Hinges brochure and related products.